The Hotel and Spa is located near the most beautiful beach in all of Fuerteventura; so whether guests are a couple looking for a romantic getaway or a family looking for some fun in the sun, they'll find this is the perfect location for a visual treat to accompany their holiday. A unique hotel, charming, exquisite and with personalized attention in a hotel that has 54 exclusive rooms, where you can forget your routine, taste the finest cuisine and enjoy a break by the sea. 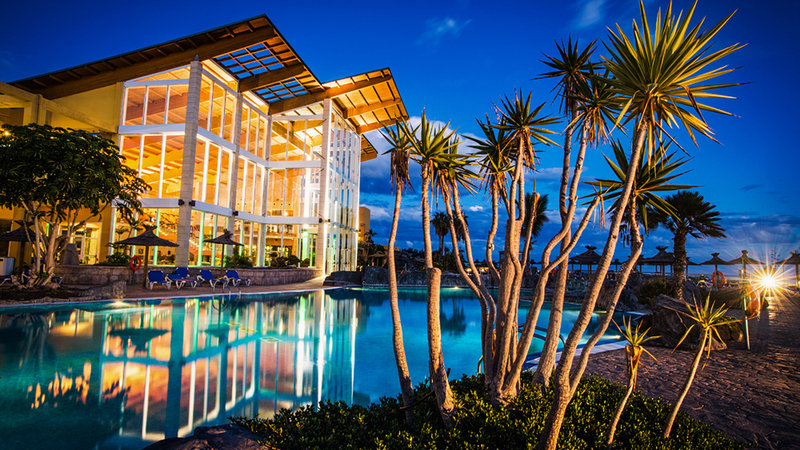 At the adults only Iberostar Fuerteventura Palace luxury hotel the number three is significant; starting with the triangular shape that opens towards the sea with the swimming pool area at its centre. Here, you will find rooms and suites with unbeatable views of the land, sea and sky around Jandía for you to admire with your partner or friends. The rule of three doesn’t apply to the 5-star rating of this hotel where they fulfil more than three wishes.